I really do agree with the comment in today’s Western Mail, ‘Exercise should be a natural part of life’. The cost of dealing with the obesity problem in Wales, not first for adults but also for young children, will continue to mount otherwise. A 10 year strategy involving all the key partners involved, i.e. Welsh Government, local authorities, Health boards, Sport Wales, parent’s associations etc, should be produced and achieved with regular monitoring.With 59% of adults in Wales overweight or obese, these figures are shocking. However, when you examine figures showing 28% of children aged four and under have an unhealthy body mass index, and 12.5% termed obese, it becomes ‘truly frightening’. I know that Sport Wales have a number of excellent programmes involving school children which show an increase in young people participating in sport at least 3 times a week, but it’s not enough. Every adult in Wales must sign up to the campaign to encourage children to take up exercise. Not necessarily sport, but just to start moving their young bodies further than just from kitchen, to lounge, to car, to school. Encourage them to appreciate the great outdoors, go for a walk, play in the park and breathe fresh air, not just stimulating the body but the mind also with new experiences. 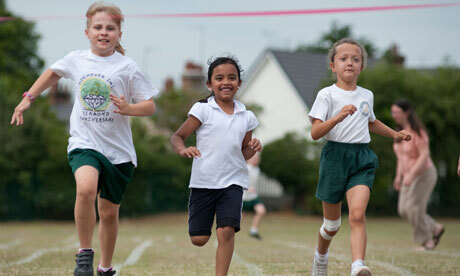 Not all children are competitive so should not be forced to take up such a sport, just encouraged to move their bodies and show that exercise is a ‘natural part of life’. The costs if we do not act now will be significant to our economy and our nation. Would it not be terrible with all our sporting heritage to become the most obese country in the world? Let’s wish our Welsh Rugby team all the very best for Sunday, and hope that their success motivates many more young people to take up sport and represent our country at the highest level in years to come. Reblogged this on Welsh Sports News.